Despite its epic reputation, we hadn’t planned on making it over to the Oregon coast. But we did, and boy, were we glad we did. 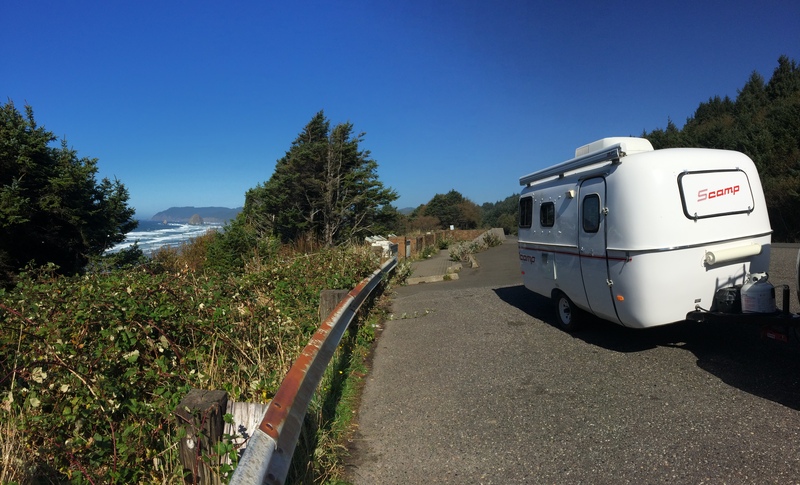 The original plan was to mosey over to Mount Hood after Portland, but I found out about a fiberglass RV meet-up at Fort Stevens State Park at the last minute. It would be our first fiberglass gathering, which was dubbed Egg NOG (Northern Oregon Gathering). We only spent 1 night at Fort Stevens State Park. As avid boondockers, we couldn’t bear to spend $29/night for more than one night just for a campsite! During our stay we mingled with other fiberglass RV’ers, the majority of them retired folks now traveling and enjoying life. It was fascinating to see other brands, sizes, and custom exteriors and interiors of other fiberglass RVs, the majority being Escape and Casita trailers. Stories were shared and tips were exchanged between people with the common interests of a love for camping and living in lightweight homes on wheels. 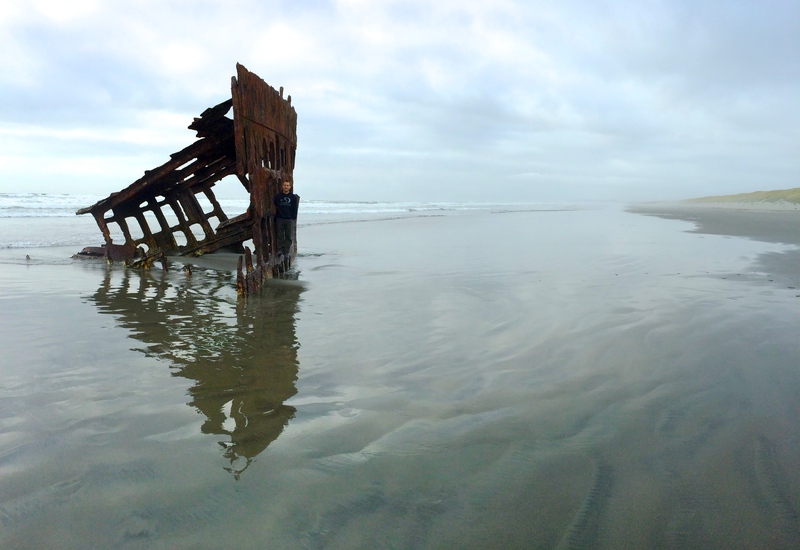 Aside from chatting with fiberglass RV’ers, we checked out Fort Stevens’ main attraction: the remnants of the Peter Iredale washed ashore in 1906. From Fort Stevens, we wanted to go razor clamming at Gearhart but the season had already been closed for 5 months due to unusually warm temperatures in the ocean. We had already experienced the joys of abalone diving the year before, and we had hoped to repeat a similar activity by gathering shellfish by hand for a delicious dinner. 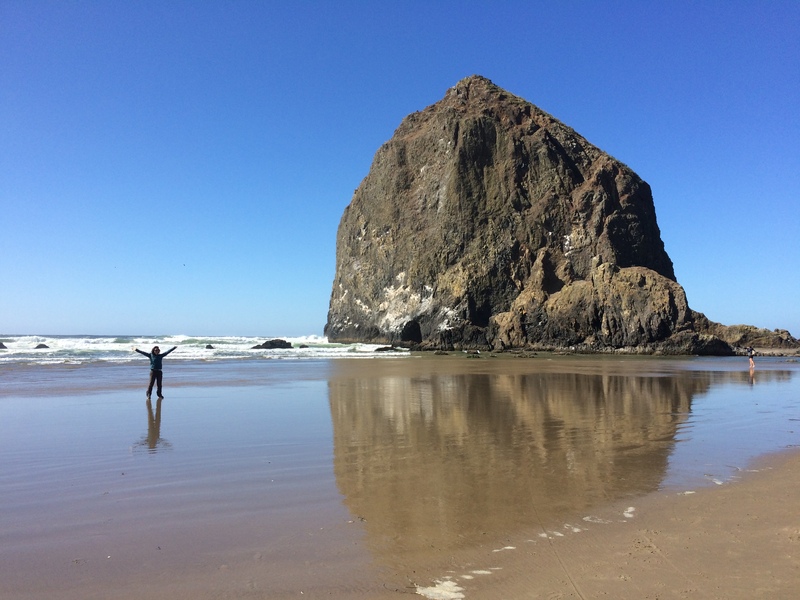 Mother Nature prevented us from clamming, so we headed further south to Cannon Beach to check out the world’s third tallest sea stack, Haystack Rock. We couldn’t make it for sunrise or sunset (perhaps the best time for photo opportunities), so these pictures will have to do. 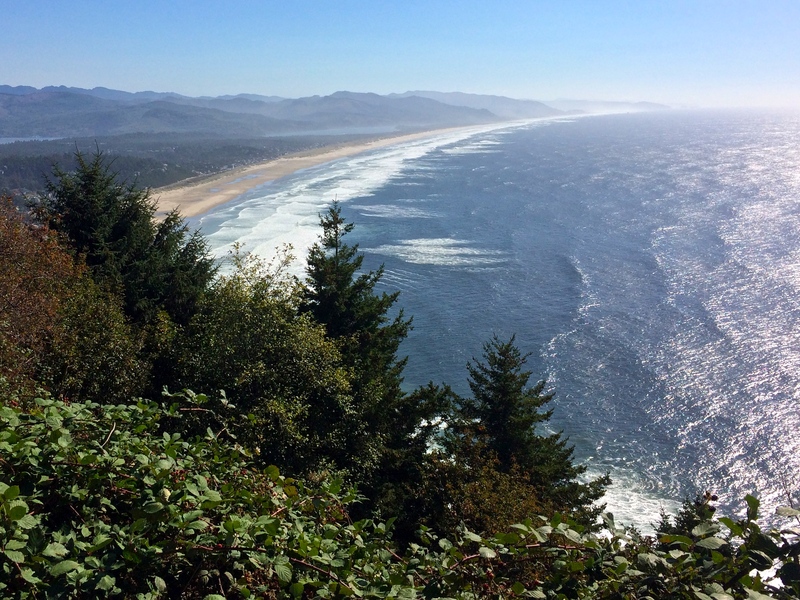 Driving south on Highway 101 reminded me of being back home in California…the windy roads, the gorgeous overlooks from the cliffs, the roar of the wind, and the fresh aroma of sea salt embraced me in northern Oregon. It was the perfect day to cruise along the Pacific at the edge of the continent. 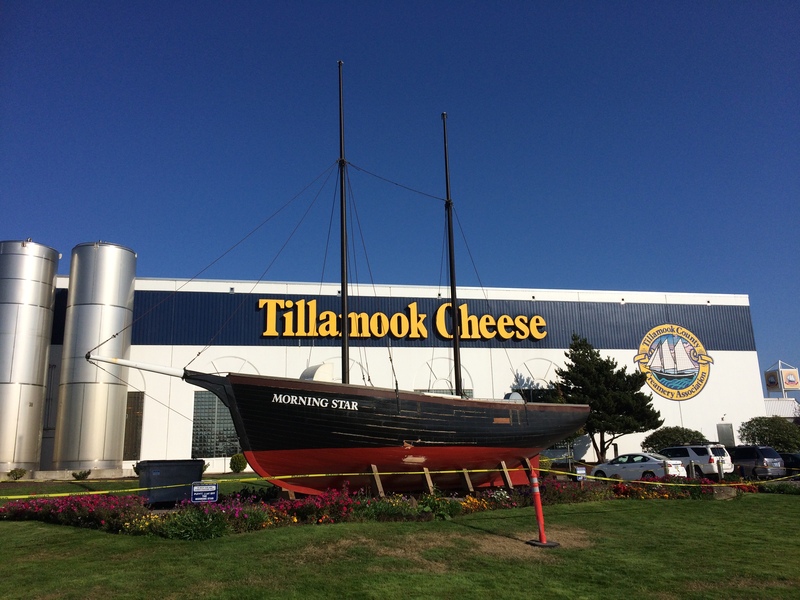 We didn’t want to stray too far from our final Oregon destination of Mount Hood, so we ventured as far south as Tillamook for a free self-guided tour and cheese samples! Had the factory, ice cream shop, and café not been jam-packed with weekenders, we probably would have stayed longer. I know that it was a shame we didn’t drive the entire Oregon coastline; its higher-acclaimed beauties were only a couple hours further south. But I was happy to see a part of it, and knowing its vicinity to home and the likeliness of a future return made it easier to cut the coastal trip short. Our quick detour to sea level was memorable, and after stuffing ourselves sick with cheese we made a beeline to familiar high-altitude territory. 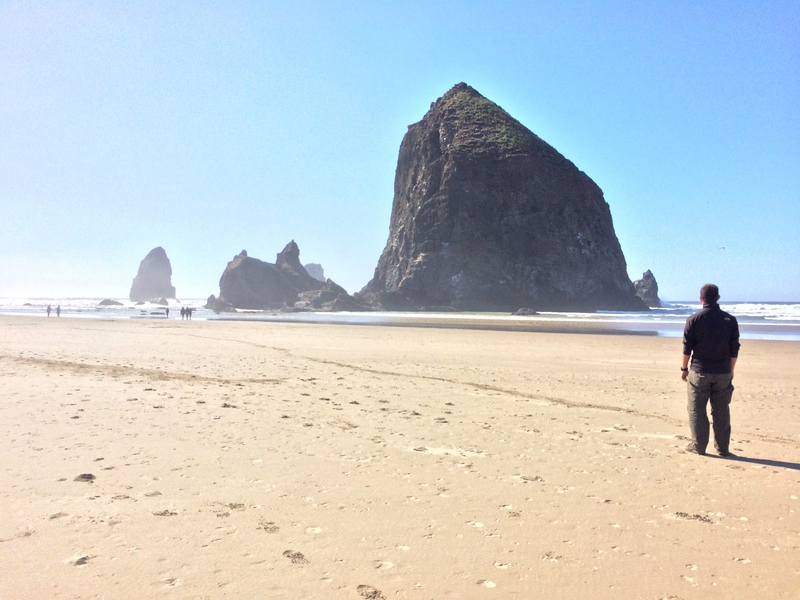 This entry was posted in Oregon and tagged cannon beach, fort stevens state park, tillamook cheese factory. Bookmark the permalink.